Replace Briggs & Stratton OEM Part # BRIGGS - OEM #: 495426. 1 x Carburetor as Pictured. Key Features. Good quality, good operation. 1 x Gaskets. Series Engines. We promise we will do our best to serve you. Briggs & Stratton 498298. Genuine Briggs & Stratton Part. Replaces Old Briggs # 692784, 495951, 495426, 492611, 490533. 1 x Carburetor(include Gasket). We are committed to resolve all issues in a friendly and satisfactory manner. Briggs & Stratton 498298. 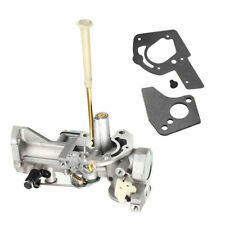 Replace Briggs & Stratton OEM Part # New Carburetor And Mounting Gaskets Kit For. Series Engines. CARBURETOR Carb fits Briggs & Stratton Stens 520-964 4hp 5hp 6hp Small Motor. Replaces Stens Fits Briggs & Stratton Models Replaces Briggs & Stratton Part Numbers Replaces Rotary. Replace Briggs & Stratton Part #:692784, 495951, 495426, 498298. This is used on 5hp engines. 1 x Car Carburetor. It can provide gas mixture for engine. 137202 series. 134202 series. 112232 series. 112202 series. Replace Briggs & Stratton OEM Part # BRIGGS - OEM #: 495426. 692784,495951,495426, 498298. Used on 5hp engines. Fits Engines: Briggs and Stratton, Craftsman, and Many more 11HP to 19HP Engines. Carburetor replaces for Replaces Old Briggs # 692784, 495951, 495426, 492611, 490533. Briggs OEM: 498298. Walbro, Quantum, Max, Riding, Manual Reel, Zero Turn, Cylinder, Rotary, Push,Gas, Wide Area, Walk Behind, Rough Cut, Rear Engine, Lawn Garden Tractor Mowers. BRIGGS & STRATTON 397358, BRIGGS & STRATTON 69703, BRIGGS & STRATTON 395491, JOHN DEERE PT10998 Fits Models BRIGGS & STRATTON 133200, 133700, 135200 and 135700; for 5 HP vertical and horizontal engines. Briggs and Stratton 498298 for 5hp Engines. BRIGGS - OEM #: 498298. This is used on 5hp engines. 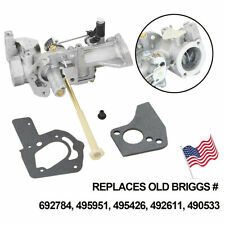 NEW Briggs & Stratton Carburetor 495951. BRIGGS - OEM #:495951. Replaces Old Briggs # 692784, 495951, 495426, 492611, 490533. MASTER rebuild for the 5hp Briggs and Stratton. The picture represents parts to cover all 5hp engines, You will only get the parts needed to rebuild your model number. The kit does not get you a new engine block, new head, crankshaft, cam, valve inserts (what ever that is?). Replace Briggs & Stratton Part #: 692784, 495951, 495426, 498298. This is used on 5hp engines. 1 x Car Carburetor. It can provide gas mixture for engine. 133212 series. 137202 series. 134202 series. 112232 series. CRAFTSMAN 298316, 395491, 397358, 697037. BRIGGS & STRATTON 298316, 395491, 397358, 697037. 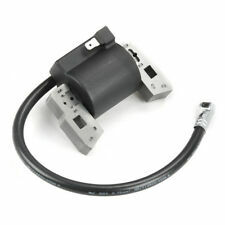 NEW IGNITION COIL FOR SELECT CRAFTSMAN, BRIGGS & STRATTON 5HP ENGINES. Briggs & Stratton 100200, 100900, 130220-132900, 133200. 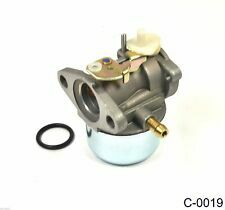 Carburetor Fits for Briggs & Stratton 498298 Replaces # 692784, 495951, 495426. Briggs & Stratton 498298. Genuine Briggs & Stratton Part. Replaces Old Briggs # 692784, 495951, 495426, 492611, 490533. 1 x Carburetor(include Gasket). Replace Briggs & Stratton 397358 395491 298316 697037 Engine STENS 440-401. Fits: Briggs & Stratton 5 HP horizontal and Vertical Engines and 550 Series Engines. 1x Carburetor as the picture. 112232 133212 134202 135237. We will try our best to reduce the risk of the custom duties. Briggs & Stratton Part Number 397135. Fits Briggs & Stratton Engine Series 135200, 130200, 133200. 1x Carburetor as Pictured. New OEM Part. Get it fast! OEM BRIGGS & STRATTON RECOIL PULL STARTER. 5hp. Condition is Used. Shipped with UPS Ground. Troy Bilt Rototillers Craftsman Front Tine Tiller 5HP with Briggs Stratton Engine. 1x Carburetor as the picture. We will try our best to reduce the risk of the custom duties. Replaces Stens Fits Briggs & Stratton Models BELOW. Replaces Briggs & Stratton Part Numbers Replaces Rotary. BRIGGS - OEM #: 498298 REPLACES OLD BRIGGS NUMBERS 692784, 495951, 495426, 492611, 490533 This is used on 5hp engines Some engines include: 130202 series 112202 series 112232 series 134202 series 137202 series 133212 series. Briggs: 298316 395491 397358 697037 397358. 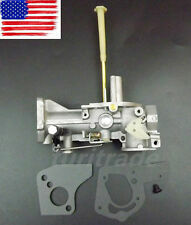 FITS:Briggs & Stratton 100200, 100900, 130220-132900, 133200, 133700,135200 and 135700 5HP Engine. THE HIGH QUALITY NON-GENUINE IGNITION COIL. LIST:1 Ignition Coil. BRIGGS PULL STARTER RECOIL. SEE ENGINE TAG IN PICS GOOD USED REPLACEMENT RECOIL IN GOOD SHAPE FOR ITS AGE. HAS SOME GREEN OVERSPRAY PAINT ON IT SND MISSING SOME BLACK PAINT COMES AS YOU SEE IT. SCRATCHES, DINGS AND SCUFFS FROM USE. PLEASE SEE PHOTOS FOR EXACT ITEM DETAILS. See pictures added and please ask questions if needed. Check out the other parts I have for sale. Shipping to lower 48 states only USA! 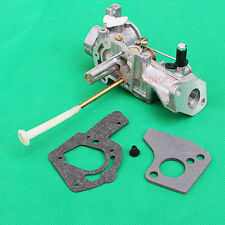 1 Carburetor for Briggs & Stratton 799868 Replaces 498254 497347 497314 498170. 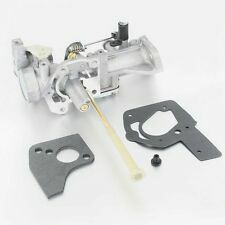 1 x799868 Carburetor For Briggs & Stratton. Riding, Manual Reel, Zero Turn, Cylinder, Rotary, Push,Gas, Wide Area, Walk Behind, Rough Cut, Rear Engine, Lawn Garden Tractor Mowers,Motorcycle. · 080202-1506-01-->Pull Choke Carburetor. 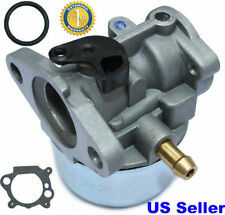 · 080202-1506-01-->Rotary Choke Carburetor. · 080202-1515-01-->Pull Choke Carburetor. · 080202-1515-01-->Rotary Choke Carburetor. · 080202-1516-01-->Pull Choke Carburetor. 132212, 132213, 132231, 132232, 132237, 132251, 132252, 132292, 132297. 130202, 130203, 130207, 130212, 130217, 130231, 130232, 130237, 130252, 130292, 130297. Fits Briggs & Stratton Replaces OEM Briggs & Stratton. Replaces # Briggs & Stratton 397358 395491 298316 697037 Engine. Fits For Briggs & Stratton 5 HP horizontal and Vertical Engines and 550 Series Engines. You will get 1 Ignition Coil. Missing bolt and center piece. Briggs & Stratton 127700 128700 129700 120H00 121H00 122H00 122T00 123K00 124K00 125H00 126K00 127H00 129H00 12F800 12G800. 12H800 12J800 12L800 12M900 12Q800 12Y800 12A800 12C700 12D800 12E800 12M800 12S800 12T800 1133 0647 Series Engine. Carburetor Gasket Fits For Briggs Stratton 498298 692784 495951 495426 490533 USA. REPLACES OLD BRIGGS NUMBERS 692784, 495951, 495426, 492611, 490533. BRIGGS - OEM #: 498298. This is used on 5hp engines. Briggs and Stratton 3HP to 5HP Craftsman Engines. 1x Carburetor Overhaul Rebuild Repair Kit. We are always online for you to have problems or concerns before or after buying. We exile them and resolve them as quickly as possible. 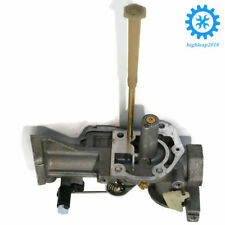 Carburetor Fits Briggs Stratton 5HP Engines | 498298, 495426, 692784, 495951. BRIGGS: 291691. BRIGGS & STRATTON: 140300 TO 140457. 141300 TO 141707. Fits Models REPLACES OEM. 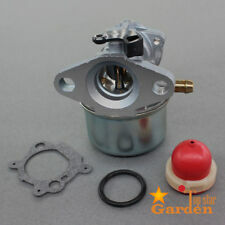 Replace Briggs & Stratton OEM Part # 1 x New Carburetor And Mounting Gaskets Kit For Briggs & Stratton 498298 As Pictured. 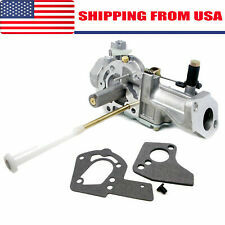 US Carburetor Overhaul Rebuild Repair Kit For Briggs & Stratton 696146 Carb. 490533, 492611, 495426, 495951, 498298, & 692784. Fits Briggs & Stratton Replaces Briggs & Stratton 130202, 130203, 130207, 130212, 130217, 130231, 130237, 130292, 130297. 136202, 136212, 136217, 136232, 137202, 137212. 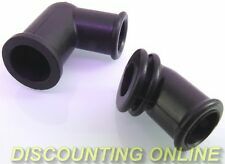 Replace Briggs & Stratton OEM Part #: 692784,495951,495426, 498298 For B&S 130202 112202 112232 134202 137202 133212 Series Engines. Key Features. - opens in a new window or tab. We promise we will do our best to serve you. Briggs & Stratton 494624. Briggs & Stratton 495606. 80200 81200 82200 133200 135200 92200 93200. Briggs & Stratton. 136200 100200 111200 112200 130200 Engine. Wworking condition. Decal is peeling a bit but can be glued back in place(last photo).